The latest in Google’s Nexus line of stock-Android phones is the first to come with an enormous 6-inch screen and also the first to ship with Android 5.0 Lollipop. Built by Motorola this time, the Nexus 6 ups the ante in terms of specifications, with a Snapdragon 805 Soc and QHD screen, but sadly this also means it’s a lot more expensive than its predecessor. We were largely happy with this phone’s build quality, performance and camera. Android 5.0 takes a little getting used to, with the new Material Design style and excessive animation on every tiny little button and text label. However the biggest reason to buy or not buy this phone remains its physical size. What is the prize.? I am waiting for this time,2.3 GHz with 3GB RAM and resolution is 1440x2560 pixel. I think its too. I am looking forward to hold the world's next generation of Google Mobile on the go, will be a best undoubtedly. No wonder, no choice, will definitely creates a pandemonium to other products in the market, once it is out. Kudos. Motorola Google Nexus 6 smartphone was launched in October 2014. The phone comes with a 5.96-inch touchscreen display with a resolution of 1440x2560 pixels at a pixel density of 493 pixels per inch (ppi). 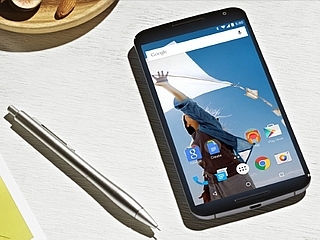 Motorola Google Nexus 6 is powered by a 2.7GHz quad-core Qualcomm Snapdragon 805 processor. It comes with 3GB of RAM. The Motorola Google Nexus 6 runs Android 5.0 and is powered by a 3,220mAh non-removable battery. As far as the cameras are concerned, the Motorola Google Nexus 6 on the rear packs 13-megapixel camera. It sports a 2-megapixel camera on the front for selfies. 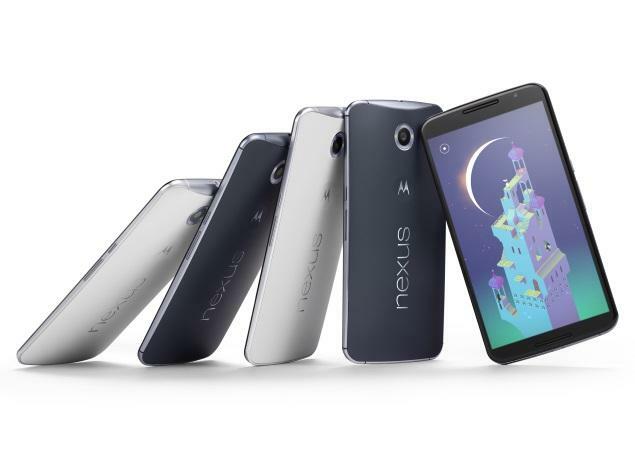 Motorola Google Nexus 6 based on Android 5.0 and packs 32GB of inbuilt storage. The Motorola Google Nexus 6 is a single SIM (GSM) smartphone that accepts a Nano-SIM card. Connectivity options on the Motorola Google Nexus 6 include Wi-Fi 802.11 a/b/g/n/ac, GPS, Bluetooth v4.10, NFC, 3G, and 4G. Sensors on the phone include accelerometer, ambient light sensor, barometer, gyroscope, proximity sensor, and compass/ magnetometer. 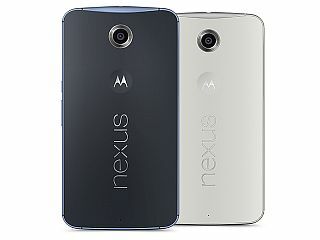 The Motorola Google Nexus 6 measures 159.26 x 82.98 x 10.06mm (height x width x thickness) and weighs 184.00 grams. It was launched in Midnight Blue and Cloud White colours. As of 24th April 2019, Motorola Google Nexus 6 price in India starts at Rs. 13,490.